Our award winning blog has been nominated as one of the top ten blogs in the UK and top 100 worldwide. With a readership of music industry executives across the world, we welcome you to submit music for a chance to be featured on our website. 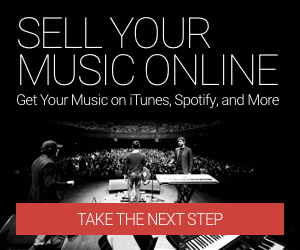 Many independent artists wonder how to get their music on iTunes, Spotify, Apple Music, Tidal, and other stores. The good news is all you need is a digital distributor. We recommend using industry leader TuneCore if you’re looking for a trustworthy and transparent service. TuneCore will host your album or single on all the major stores and streaming platforms for an affordable fee. Plus you keep all your rights and 100% of the sales revenue. Learn how you can get started here. A&R Factory will use this data to get in touch with you and provide updates in regards to your submission and marketing. You can unsubscribe at any time by contacting us. By submitting your e-mail, you agree that we may process your information in accordance with these terms. - Music will be reviewed and posted on our award winning blog within 7-14 days. - Your music post will reach our readership which includes independent and major labels, publishers, management companies, radio station, PR and sync companies from across the world. - You will have the opportunity to be featured on the homepage of the A&R Factory website. - We will listen to your music when we get round to it. - There is NO guarantee it will be featured on the blog.